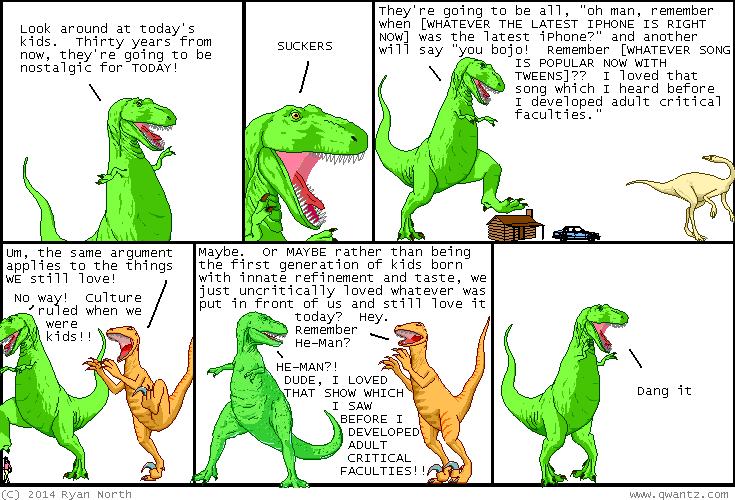 Dinosaur Comics - June 19th, 2014 - awesome fun times! –Aww! I'm sorry, imaginary dude! June 19th, 2014: Adventure Time #29 came out yesterday, and here's a preview! It features GHOSTS and SURPRISES. Probably you like both those things? One year ago today: warning: this comic has partial swears in it. there is 50% of a swear, but 100% of the swearvowels. you can probably complete the swear in your mind's eye if you really want to.